David works with prospective, current, and new teachers in wide-ranging ways as he serves as a TEAM mentor, cooperating teacher, and fieldwork advisor. He recently facilitated an online course about modern China and served as a lead teacher for a Primary Source summer institute about 19th and 20th century Africa. Currently, he is an adjunct professor at Eastern Connecticut State University preparing prospective Social Studies teachers for their future careers. Traveling extensively in an educational capacity, visiting schools and working with teachers from many countries, David brings his students a wealth of experiences. Through the Teaching Excellence and Achievement program, he traveled to Ghana and has visited China, Saudi Arabia, Egypt, and Japan as part of educational delegations, with the specific goals of developing greater cross-cultural awareness and fostering global understanding. 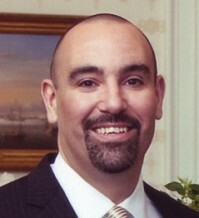 David Bosso, the 2012 Connecticut Teacher of the Year, has been teaching Social Studies at Berlin High School since 1998. He was recently named the 2012-2013 Outstanding Secondary Social Studies Teacher of the Year by the National Council for the Social Studies, and was recognized by the Connecticut Council of the Social Studies for its Excellence in Social Studies Education award in 2009.